What’s interesting about the road-legal Lamborghini SC18 is not just that it’s a new one-off from Lambo, it’s the first one-off road car from the company’s racing arm, Squadra Corse. That and, well, look at it. That is a whole lot of... just... car, man. It’s a lot of car. Keen among you will note that this is the same performance as the SVJ-spec Aventador. But I don’t mind that this may not be specifically more powerful than a more standard car. 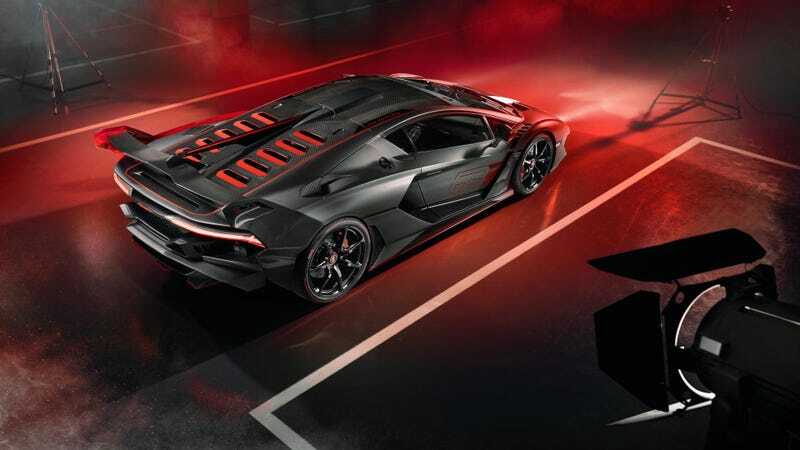 It looks awesome, and puts some of the style of the great Sesto Elemento on the road. Never a bad thing.